April 28th is Worldwide Pinhole Photography Day, and in honor of that upcoming event I wanted to write a short blog on pinhole photography and include some pinhole images I’ve made in the past. Hopefully this will inspire you to get out there and shoot Pinhole – even if you don’t have a Pinhole camera. More on that to come. “Camera obscura (plural camera obscuras from Latin, meaning "dark room": camera "(vaulted) chamber or room," and obscura "darkened, dark"), also referred to as pinhole image, is the natural optical phenomenon that occurs when an image of a scene at the other side of a screen (or for instance a wall) is projected through a small hole in that screen as a reversed and inverted image (left to right and upside down) on a surface opposite to the opening. The surroundings of the projected image have to be relatively dark for the image to be clear, so many historical camera obscura experiments were performed in dark rooms. 3. Make a pinhole “cap” for your existing digital or film camera. This way you can shoot film or digital depending on the camera. Option 3 is generally the cheapest and easiest alternative, although know that it doesn’t always give the best results as compared to a specifically designed pinhole camera. Also know the larger the “sensor” or “film plane”, the better the result. The best pinhole shots I’ve seen in terms of sharpness and clarity are on large format cameras, and the quality and perceived sharpness generally decrease as the size of the “sensor” decreases. Also, know that “sharpness” is a relative term; no pinhole images are really very sharp and start to fall apart if you really pixel-peep them. If you are interested in making your own pinhole camera body cap to try it out on your existing digital or film camera, go here: https://digital-photography-school.com/make-pinhole-camera-dslr-body-cap/. I have a cap I made awhile back, but I generally shoot with my NOON 612 medium format film pinhole camera. The larger medium format negative yields, in my opinion, better results and I also like the challenge of composing an image with a wooden box with only sightlines on it to gauge the edges of the frame. The other great thing about the NOON 612 is that it has the ability to shoot in 6x6, 6x9, or 6x12 format depending on where you put the dividers in the inside of the camera. This means you can get 12, 8, or 6 images from your roll of medium format. The NOON is f/207, so the way you shoot it is that you compose your shot (on a tripod), meter the scene for f/22 and whatever film speed you are using, then take that exposure time and plug it into the supplied chart that comes with the camera. On bright days, depending on what film you use, it could be seconds. On dimly lit days, it could be minutes. The shutter is a simple block of wood on a pivot. Incoming Storm - NOON 612 Pinhole Camera with Fuji ACROS 100 film - IIRC this image was a 5 minute exposure. There are a few interesting things about shooting pinhole. First - the images tend to be the same level of “sharpness” thru the entire scene front to back. This is due to the high f-stop of the pinhole. Second - if you get your camera level, anything that is an upright in the image is perfectly straight with no lens distortion. That’s because there is no glass to distort it. Even your eyes distort things when viewing them due to the “lens” in your eye but you don’t notice it – when looking at a pinhole it often looks odd due to this lack of distortion. Third – things in the image look a lot further away than what you think they will when you are working on the scene. I think pinholes generally work best when you are fairly close in to what you want to capture. Here are a few more pinhole images I’ve shot over the last 1-2 years. I hope that this has inspired you to give pinhole photography a try. 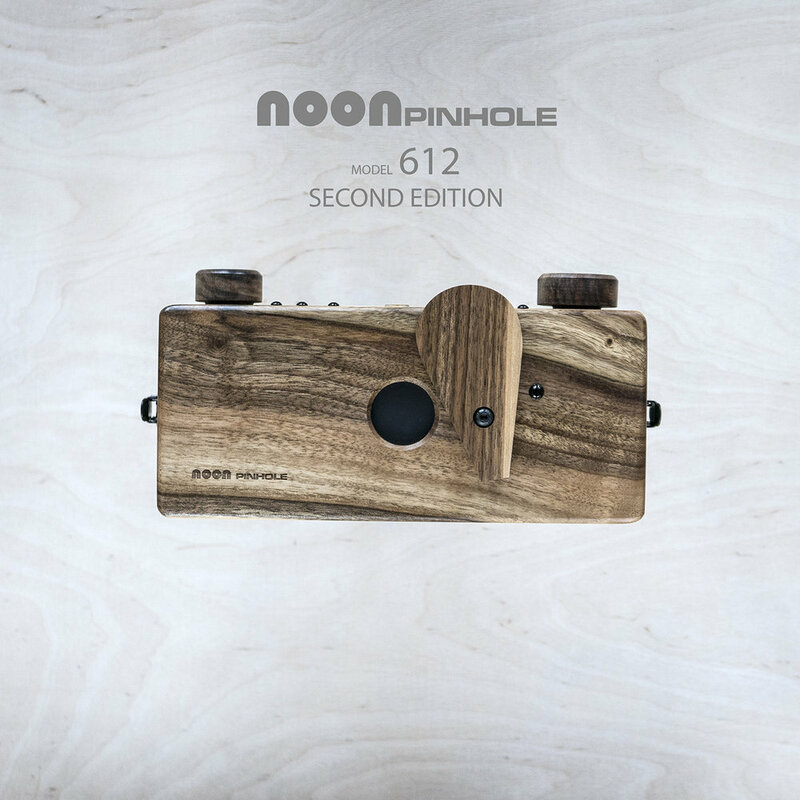 If you are interested in learning more about Worldwide Pinhole Photography Day, feel free to check out http://pinholeday.org/.